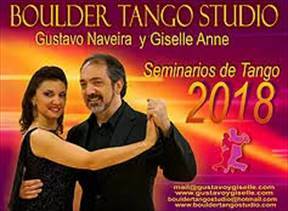 Residing now in the city of Boulder, G&G are dedicated to the mission of the Boulder Tango Studio. This venture is aimed at creating a new Tango space available for both local tango community and for "tangueros" coming from other cities or countries. In this new space G&G will carry out the development of tango dance teaching programs for all levels.